KABUL: A historic relic that has been prevented from trafficking to outside was submitted yesterday to ministry of information and culture. The historic relic was seized from traffickers in Aqcha district of Jawzjan and later submitted to provincial department of information and culture in the province. 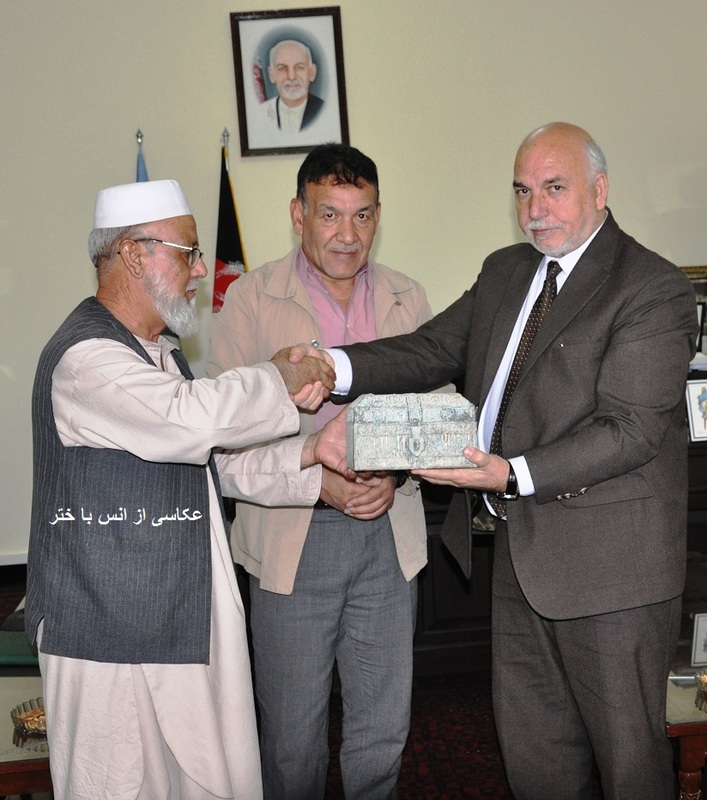 Related to the historic relic, deputy minister of culture and art for information and culture Prof. Mohammad Rasoul Bawari said the relic was a historic box depending to Islamic period. It is worth mentioning that the relict was then submitted by Prof. Bawari to deputy of national museum Yahya Muhibzada for further preservation and protection.